Now that baseball is over what are you sitting around watching? Football is the biggest Sunday past time in my group of friends. Not my fave, but the food spread is usually top. Yup, I go to socialize over the food! HA. So the squad is having a pot luck on Sunday and I did a test run of a wing recipe I got from Momofuku. I wing'd it and they turned out perfect! Except for butter, green onions and sesame seeds, toss everything together and marinate overnight. Preheat oven to 425F. 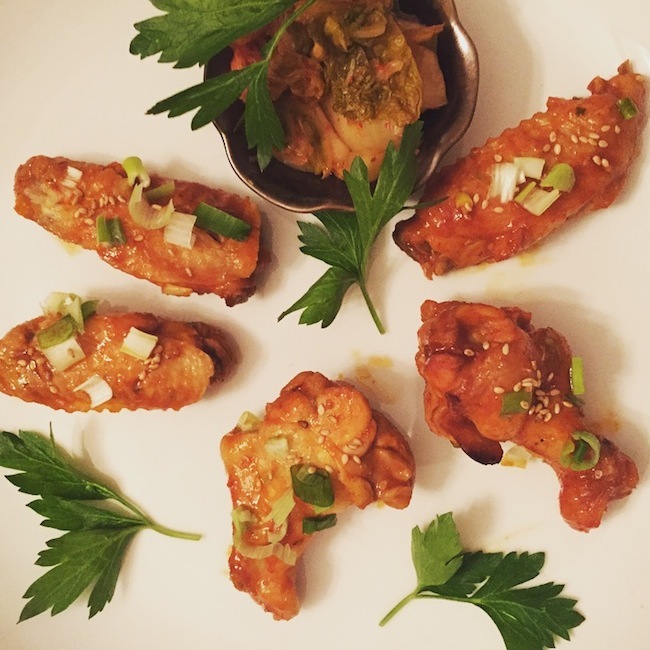 Arrange wings on a wire rack and broil for 15 minutes. Reduce temp to 375F and bake for another 15 minutes. While the wings are roasting melt the butter over medium heat and add left over remaining sauce in bottle. Add a little apple cider if sauce is too thick. When wings are done toss in the butter ssam sauce until evenly coated. Garnish with green onions, sesame seeds and cilantro. Serve it with kimchi on the side, to give it that extra Korean touch! It's basic ingredients. 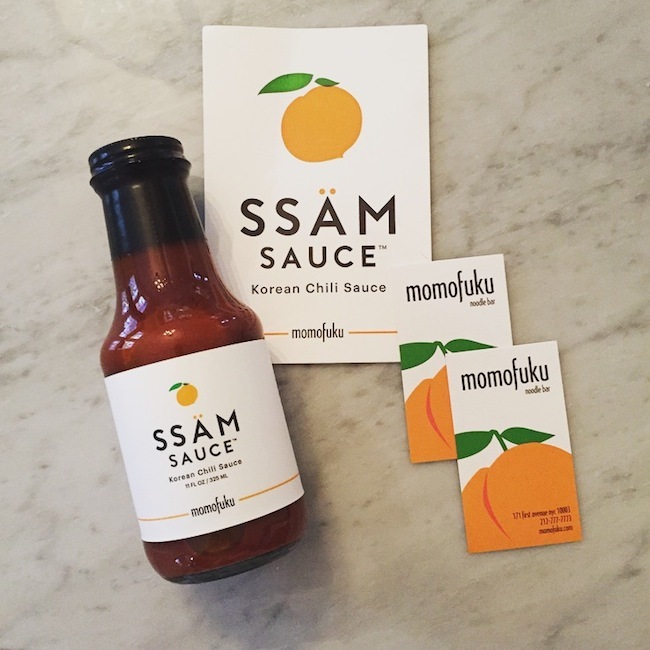 You just need to order the sauce from Momofuku. That's the real SECRET. Then when you get adventurous google the sauce online and your will find a bunch of other recipes to use the Ssam sauce in. Finger licking good!